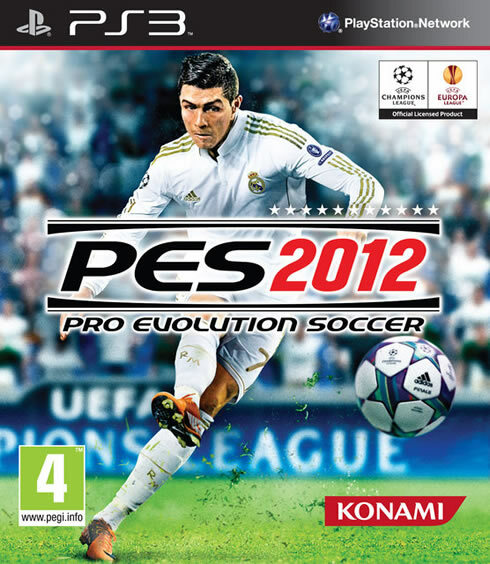 Cristiano Ronaldo already featured on PES 2012 cover last year and appearently, he'll keep doing it in the next series title, PES 2013. A few days ago, KONAMI released a teaser trailer and video, where we could see some footage of the Portuguese player about to step up to a Real Madrid training ground. The chosen slogan was catchy, as Ronaldo categorically defends the idea that football should be played only on the pitch: "Talk is easy. It's what happens on the pitch that matters." The debut trailer has come out earlier today and it already includes some gameplay footage, as well as more action scenes from Cristiano Ronaldo. Both videos (teaser and debut trailer) can be seen below. 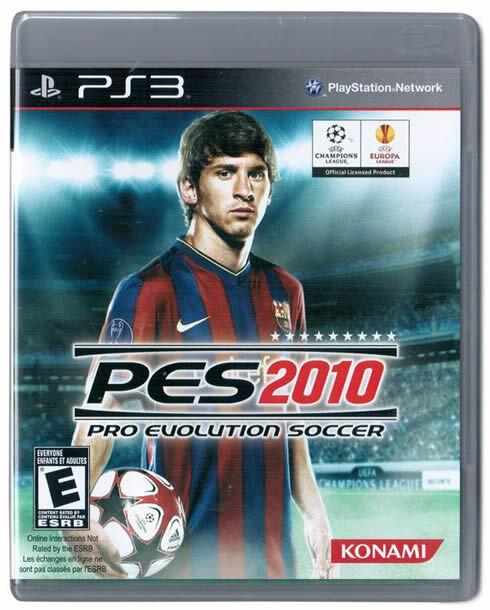 So what does this new PES 2013 bring to us? 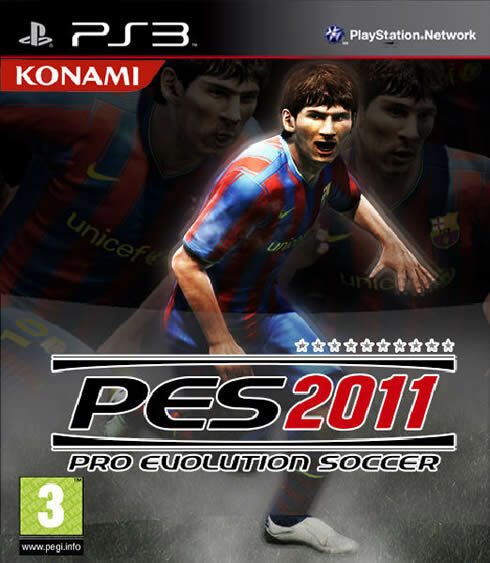 KONAMI claims this game series will be the be most faithful recreation of modern day football to date, due to amount of new features that PES 2013 brings to the table. 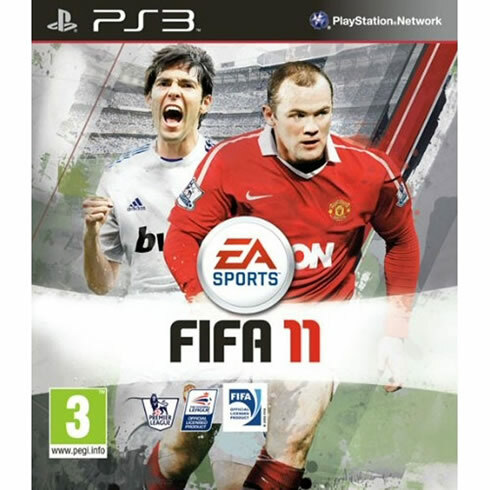 The game is only expected to hit shelves during the second half of the 2012 year, but this is seen by many videogamers as KONAMI last chance to regain their dominance in football simulation games, which was lost to FIFA and Electronic Arts over the last years. European PES team leader, Jon Murphy, granted a few statements about the new game as he disclosed what the game truly embodies and how fans expectations won't be defrauded. Jon Murphy: "This will certainly be an exciting time for everyone to be part of the Pro Evolution Soccer community and PES 2013 will mark a new level of playability with a return to our roots as we'll be offering a total ball control and freedom to our players", noted the KONAMI staff member. Perfectly confident that Ronaldo was the right choice to be the face of this new project, Jon kept explaining the reasons why PES 2013 will be a success. Jon: "In this sport, it's all about making magic come true, but with skill and precision. 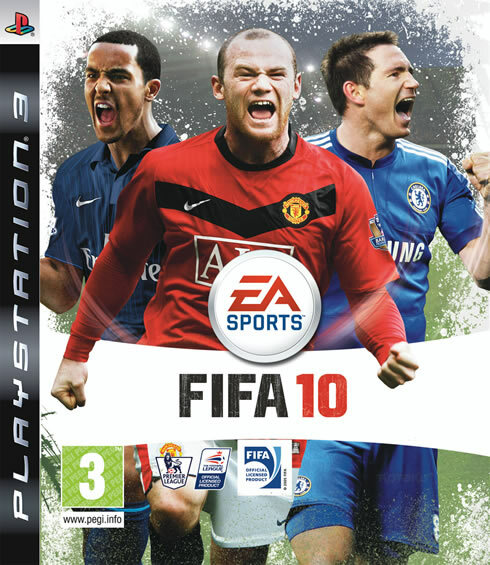 PES 2013 truly embodies that on this game series. We got some new fresh faces within the game development team as well as several ideas with great potental that will surely provide this series a new life and dynamic. We're excited to bring this game to the public, and we'll keep showing how good the game is over the upcoming months", explained the European PES team leader. - Total Freedom of Control: Years ago, Pro Evolution Soccer introduced the concept of freedom of movement and the new 'PES FC' in PES 2013 will provide total freedom over the control of the ball. - Dynamic First Touch: PES 2013 brings you a wide diversity of ways to receive the ball, from traps, gently lifting it past an attacker to run on, to or a big variety of other moves. The first touch is everything and players can trap and hold to the ball, by simply using the R2 button, slowing the speed of a strong pass and bringing it instantly under control. 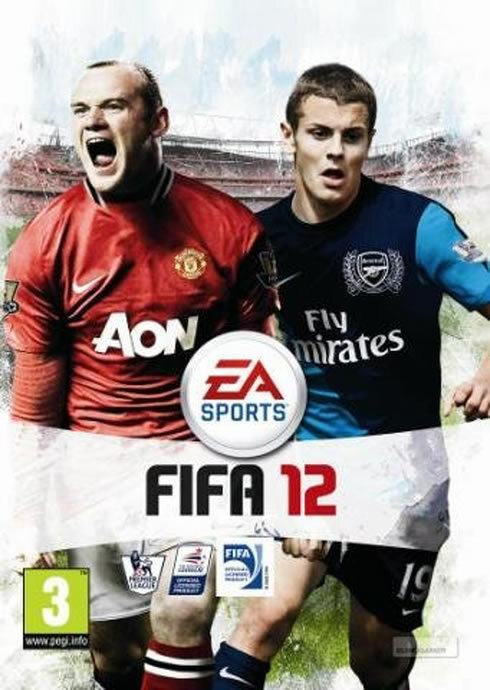 - Full Manual Shooting and Full Manual Passing: PES 2013 offers every gamer the capacity to fully manual passing the ball around and for the first time ever, even a manual shooting ability, which allows users to determine the height and power of each shot. Also, long low passes can be made skimming across the pitch, while shooting the user has total control over where the shot is placed. Skill and precision will be a huge factor, but passes can also be made into open areas, allowing lone strikers to thrive, while offering an unrivalled variety in how to score goals. - Dribbling: Another improvements concerns how fast a player moves with the ball, as it has been slowed in line with real matches, but using R2, allows gamers to add several styles to their close control abilities. Players can change the speed of their dribbles, as well as cushion the ball when moving freely within a 360-degree circle. The new PES 2013 system allows players to knock a ball past a player and collect it more upfront, nutmeg defenders, or holding up play by shielding the ball while team mates find space and make runs. - Full Manual One-Two: Simple combinations as active one-two passes will be possible, making things easier in terms of tactical strategies. - Response Defending: A new and balanced defence system has also been prepared for PES 2013. Gamers will be able to use R2 and X, to slow down an attack pace, by double-tapping the X button prompting a perfectly-timed challenge. Full 360-degree control means that players can check runs and steal balls side-by-side with their opponents, while the individuality element will see defenders being able to impose their aerial dominance and physicality, to win the balls beind disputed with other teams forwards. - Goalkeepers: Even the the goalkeepers are now given a lot more control, while their passing is more accurate, thanks to the addition of a power gauge when they throw the ball to a teammate, which necessarily creates opportunities for new and quicker counter attacks. - Player Individuality: The best players in the game will have special features, as in PES 2013 they will be instantly recognisable through an incredible likeness, physical similarities, skills and tricks usually seen being made by them. Also the way they run, turn, trap and move the ball around, shape to shoot and even celebrate, will be noticeably comparable to what they do in real life. - Individuality to Goalkeepers: In PES 2013, those players who are usually seen between the posts [goalkeepers] weren't surely overlooked. Goal keeping has been totally enhanced through new animations and effects. A new range of daves and reactions were added to ensure that the goalkeepers are able to put a good challenge on the most difficult shots being made. This incredible level of realism also extends to the PES 2013 top-rated goal keepers, as their moves to close attacks down, fling themselves to tip a shot past the post, and acrobatics flexibility, will benefit from many new animations and improved Artificial Intelligence. - Balance of Play: The PES 2013 staff has worked closely with the PES fan base and community to remove any illogical elements to the way players used to move and run in previous PES editions. Now with the 'ProActive AI' system enhancing the speed and balance, the game experience becomes a lot more realistic and entertaining. - Tactical Precision: There's now a better balance between defensive moments and attacking moments, with clearly greater organisation, as the teams track back or push forward strategically, setting a harder to beat defensive line, adjusting faster to possession won or loss and allowing faster and quicker counters to be made. - Enhanced Goalkeepers: A lot of improvements were made on goal keepers, which is precisely what football fans most voted for being enhanced in PES 2013. The KONAMI team has worked hard with real goal keepers, in order to assure that the AI element would be drastically improved on this new game series. Goalkeepers will now respond in a more natural way, clear their lines more efficiently and push the ball safely out of play, rather than into dangerous areas of the pitch. 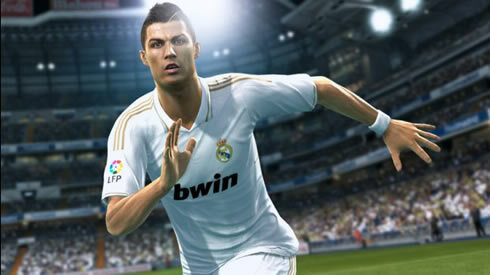 PES 2013 will be released for several gaming platforms, such as Xbox 360, PS3, PC, Wii, PSP, PS2, 3DS and DS. 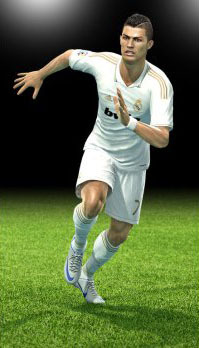 You can read more about Cristiano Ronaldo stats and ratings in PES 2013, at our friends from WorldFootballExtra.com. Real Madrid next game is against Bayern Munich, for the UEFA Champions League, this next Wednesday (25-04-2012). You can watch Juventus live stream, Real Madrid vs Bayern Munich, Norwich vs Liverpool, Athletic Bilbao vs Sporting and Valencia vs Atletico Madrid, all from our soccer live streams section. Cristiano Ronaldo will most likely be on the line-up, when Real Madrid gets visited by Bayern Munich, for the second leg of the UEFA Champions League.